Published to: Mergermarket, the leading provider of forward-looking M&A intelligence and data to M&A professionals and corporates around the world. PC Pitstop, a privately held anti-virus software firm, would like to develop relationships with the investment community now in anticipation of a future outside investment, said CEO Rob Cheng. “I want (the investment community) to know about my company, where we are, how we are positioned and what we intend to do – before going out to the market,” he explained. A little more than two years ago, Cheng hired an executive to reach out to the investment community. Though PC Pitstop entered into the due diligence stage with one PE firm, no deals materialized due to valuation impasses, he noted. The company expects significant growth in the coming years, and rightfully so, investors wanted to value the business based on current figures, Cheng said. Given that PC Pitstop generates significant cash, there is no urgency to ink a deal, he added. PC Pitstop continues to entertain regular approaches from PE firms, with three calls scheduled this week, according to Cheng. The company saw an uptick in interest last month after WannaCry – a worldwide cyberattack by the WannaCry ransomware cryptoworm, which targeted computers running the Microsoft Windows operating system by encrypting data and demanding ransom payments in the Bitcoincryptocurrency. May revenue was up 42% over the same period last year, noted Cheng, a former senior vice president for computer hardware company Gateway (acquired by Acer in 2007) who seed funded PC Pitstop with USD 1m of his own money. PC Pitstop had revenue of USD 11.9m in 2015 and USD 13.5m in 2016. The debt-free company is projecting between 25% and 50% growth this year, depending on how quickly its B2B division and reseller program, both launched in March, gain traction. Anecdotally, Cheng said he has heard that multiples in the space can reach upwards of 6x-7x revenue and 40x EBITDA. On the B2C side, PC Pitstop’s consumer product PC Matic, which costs USD 50 annually for up to five computers, has more than one million active users. Cheng noted that many businesses have purchased the consumer product – including The US Army, Air Force and Navy; AT&T; Aflac, RE/MAX; and USPS – and part of its B2B strategy is converting those customers to PC Matic PRO. The consumer business has few peers, according to Cheng, though there are roughly 40 competitors in the B2B sector, including Symantec [NASDAQ:SYMC], McAfee , Cylance, ESET, Trend Micro and Bitdefender. In terms of recent deals, Cheng pointed to Avast Software’s September acquisition of AVG Technologies for USD 1.3bn. 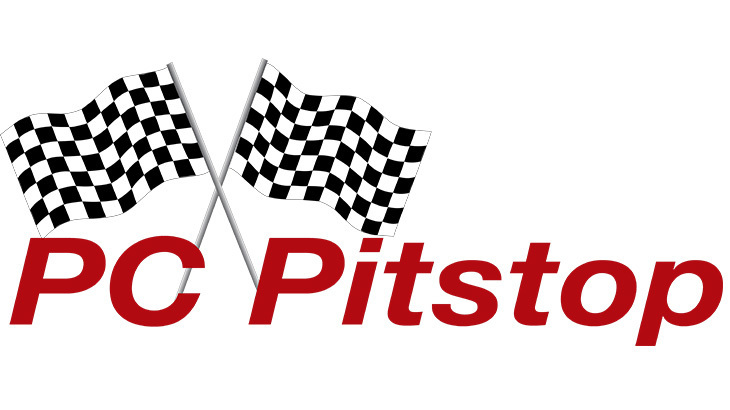 PC Pitstop advertises primarily through TV commercials on cable news channels in the US, though it has some exposure in the UK and Japan. Cheng mentioned that revenue for 2016 was slightly stymied because of the election, with political advertising dominating air time. What differentiates PC Matic from other anti-virus software is its Super Shield real-time protection, which is based on a white list that denies access to all unknown files until authenticity can be verified, Cheng noted. Most anti-virus software operates off a black list, which only blocks files that are known to be threats, while allowing for all others – a system Cheng said has inherent flaws, as new malicious files are constantly being developed. PC Pitstop has 50 employees. Its corporate advisors include law firm Dickinson Wright and accounting firm Ryan, Hodgins & Associates. In the News, Press investors, PC Pitstop. permalink. Please inform me when you broaden the investment opportunity. I work in the field of GRC, its a $10+B market, and we are a leader in that space. I would like to meet with you to discuss partnering opportunities. We have 1000+ global clients, the who’s who global company list. Millions of people use our software daily, and they need better security protection. The security software we used at BigCO (big public company) was crap, and my laptop got a virus from a big bank customer. The only tool that could clean it up was PCMatic. We need to talk soon, so please have your admin contact me at 612-508-9476 to set up a meeting. Thanks for your great work in this field. I am a user and believer in your message-made in America baby!!!! p.s. now I have to get back to game 6 of the world series-one of the best ever! Scott, you can reach Rob regarding investment opportunities at invest@pcpitstop.com. I am very interested in investing in your company. Excited!!! Please let me know when. My husband and I would be very interested in investing in PC Pitstop. Let us know! I will buy American happily, lets go. I agree with Mr. Myers. Give your clients the opportunity to invest with your company. Mr. Cheng, In article written by Deborah Balshem, it states you want to create a market for you and employee shares of PC PITSTOP. In a very simplistic form it seems to me you already have a potential market and possible valuation. 1: You have over one million existing customers and or potential share customers. 2: Your own valuation and an outside valuation. Add together cut in half, starting point to fair evaluation. Price and make initial offering to existing PC PITSTOP customers. Cut out the middle men and women. This has been done before successfully. Thus I am adding my voice as a user and join those who have expressed interest in your plan to go public. Interested in investing. Let me know when. Please advise when you will offer pre-listing stock investments. I would be interested in investing, please let me know if you begin selling stock…..